Last set. Cushions only available in Hessian Natural fabric. 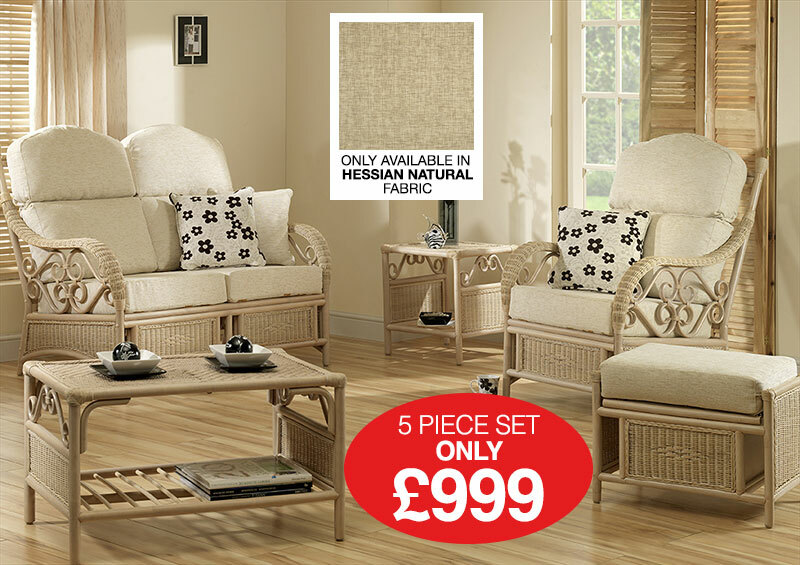 The Windsor Suite has an attractive unusual intricate design with matching accessories. It has a colonial feel with its unique design. It has a comfortable feel with high back cushions, which all have zips, covers can be removed for easy cleaning. There is a choice of fabric which can be viewed by pressing the fabric tab. Only available in Hessian Natural fabric. email: [email protected] to order. Online purchases please note: delivery charges only apply to mainland UK. All other areas please ring for a quote, tel. 01204 846677. Before buying, please make a note of the name of your chosen fabric.